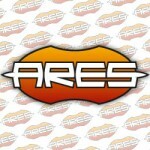 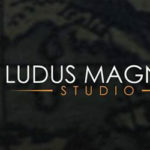 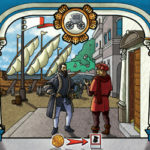 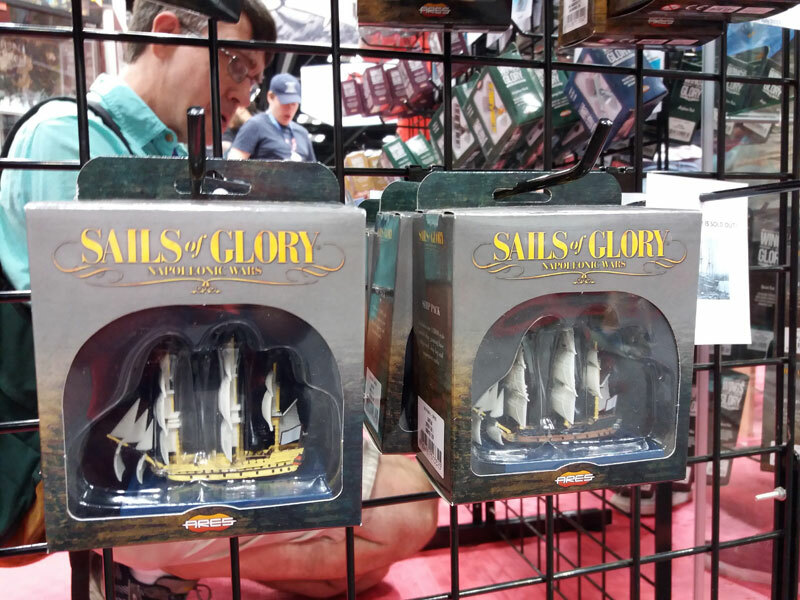 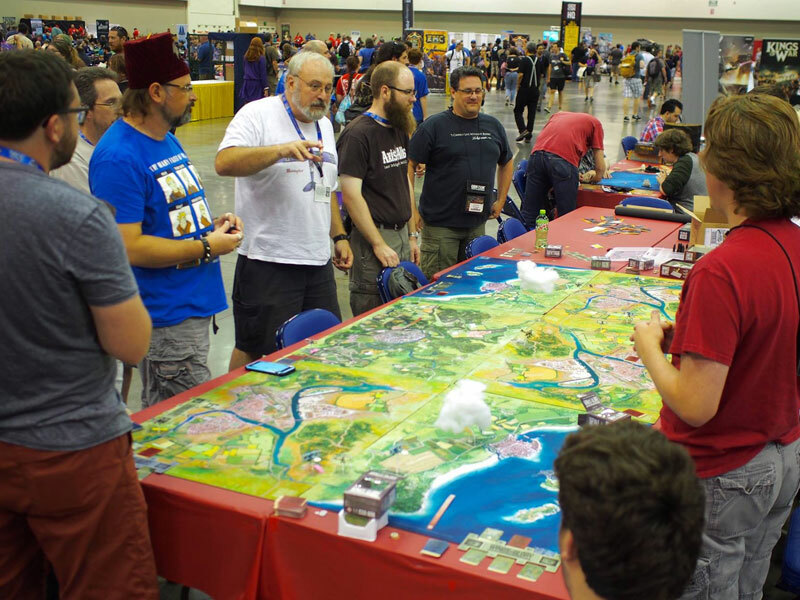 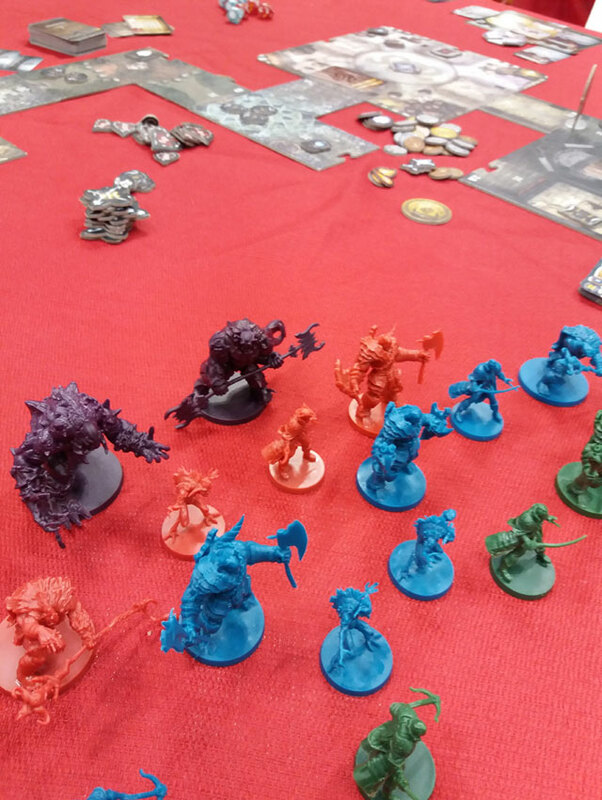 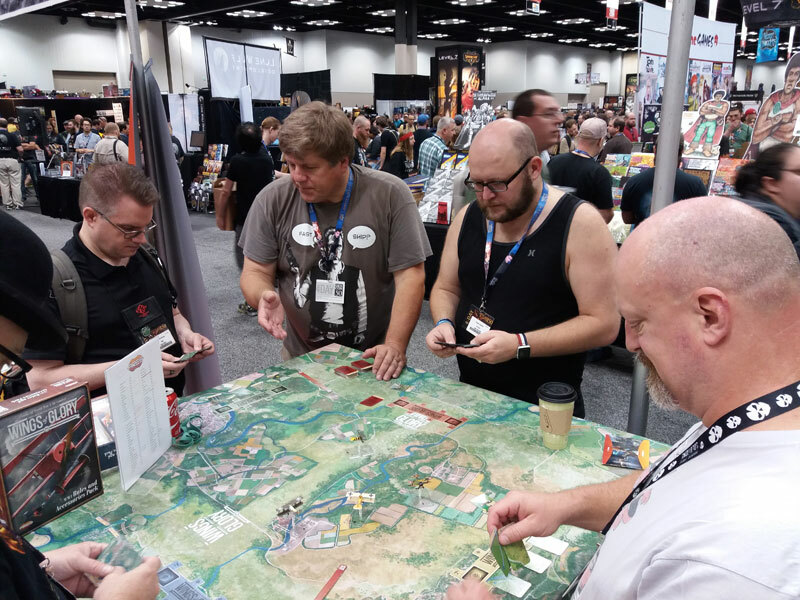 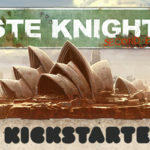 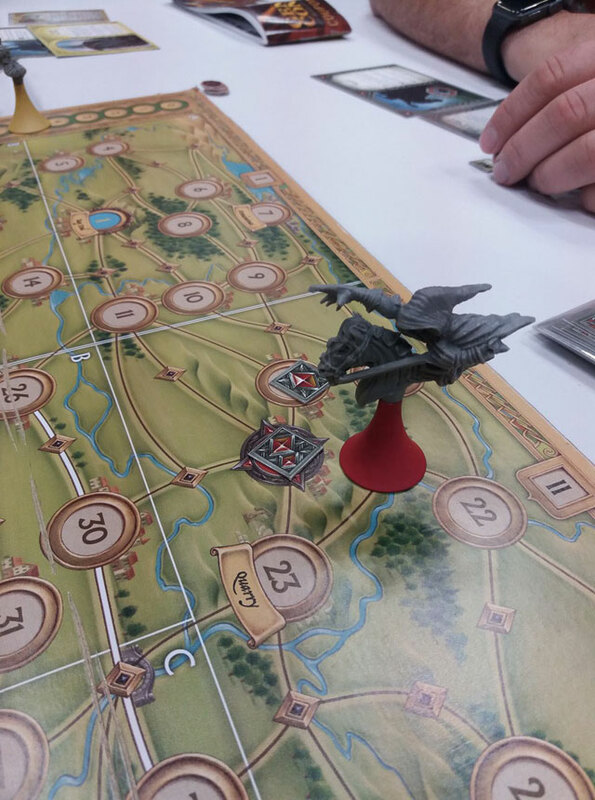 Home » Ares Games » Gen Con 50: lots of action at Ares Games booth! 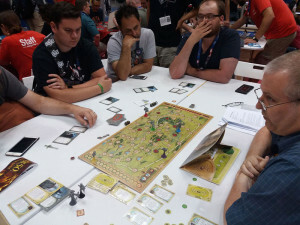 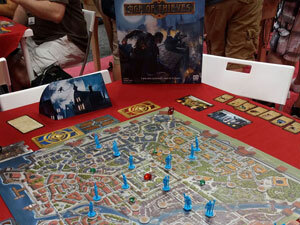 This War of Mine: the Board Game, Age of Thieves, Sword & Sorcery were among the hot games of GenCon, with non-stop demos and lots of people waiting to play at Ares' booth during Gen Con 50. 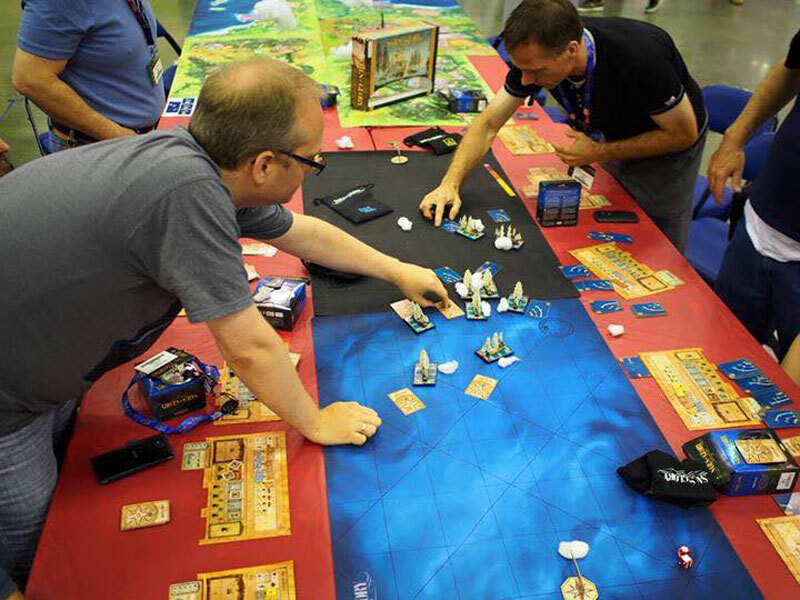 During the four days of the show, it was also possible to play other games, among them Last Friday, WW1 and WW2 Wings of Glory and Sails of Glory. 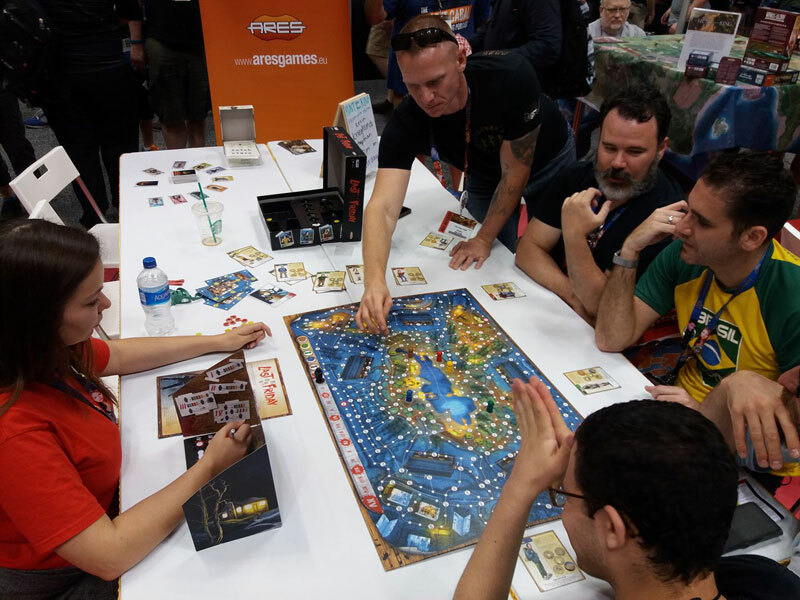 In our showcases, several previews of upcoming games were featured: Divinity Derby, Return to Camp Apache, and the long-awaited Hunt for the Ring. 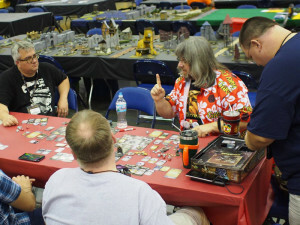 Hunt for the Ring also had a unique event with Kevin 'Krieghund' Chapman, War of the Ring rules guru and co-editor of the game, playing as the Ring-bearer, on August 19th. 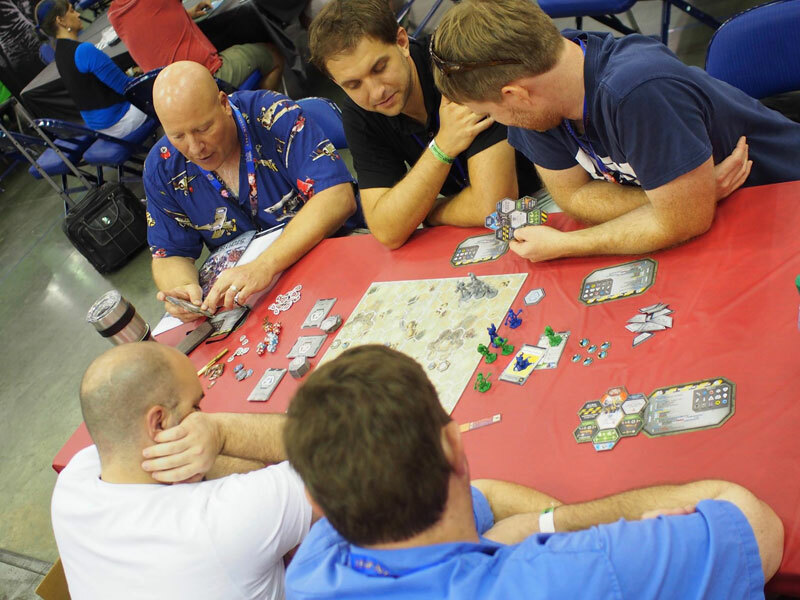 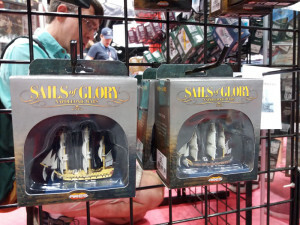 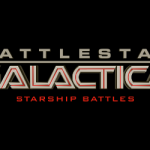 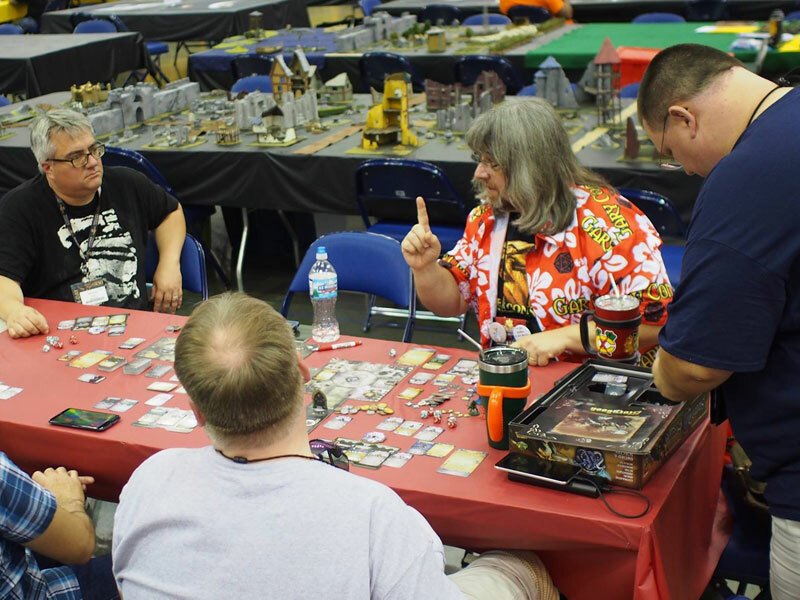 Many visitors got the chance to buy at the show several new releases: the Galaxy Defenders expansion, Final Countdown (now arriving in stores), the new wave of Sails of Glory Ship Packs (to be released in September), and other three new Galakta Games - Andromeda, Ragers-Champions of the Arena and Zombie Terror - which will be distributed by Ares in North America in September, at the same time as This War of Mine: The Board Game and Age of Thieves. Ares Games thanks everyone who visited our booth during Gen Con 50 and the great crew who worked hard with us during the four days at the show. See more of the show in the pictures below (click to enlarge). 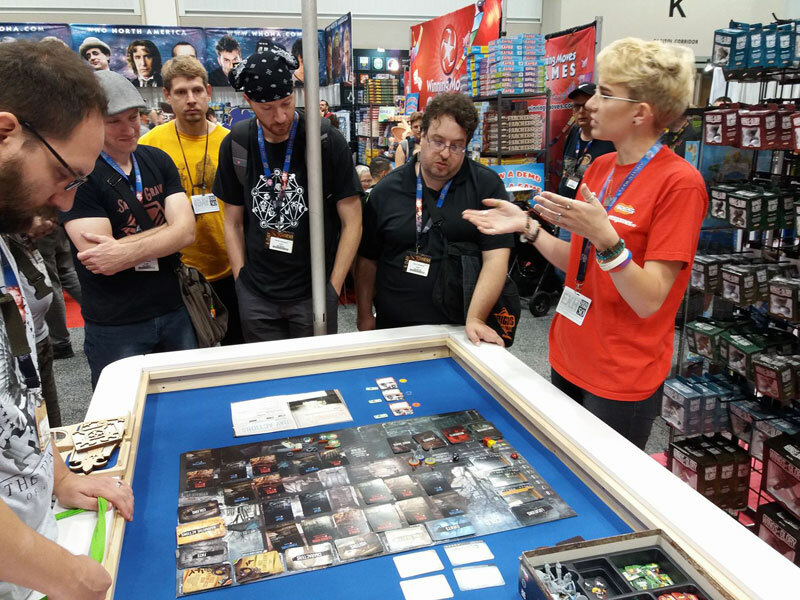 Next stop: Essen Spiel 2017! 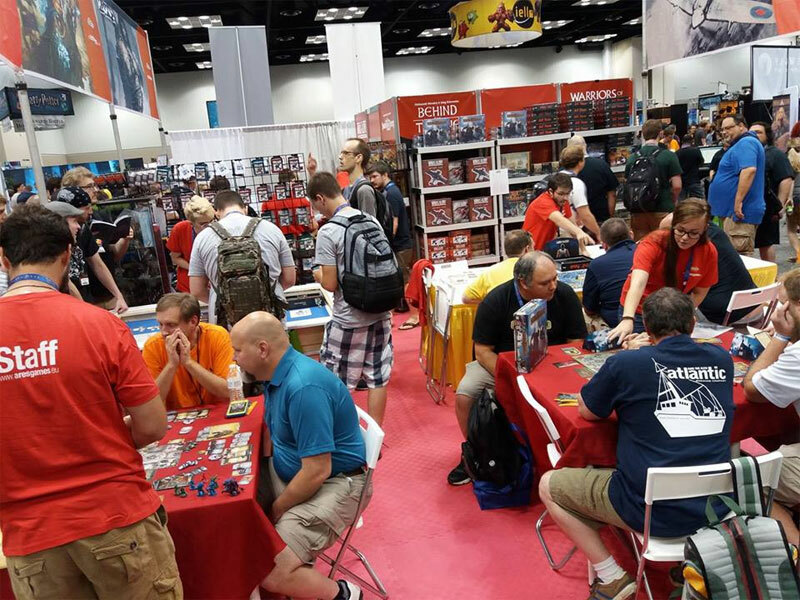 Ares Games' booth at Gen Con 50. 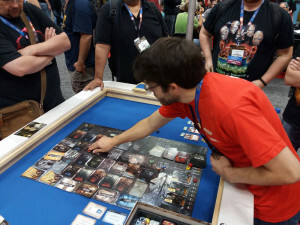 This War of Mine: The Board Game demo. This War of Mine - The Board Game demo. 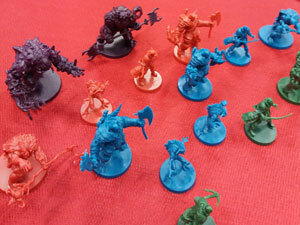 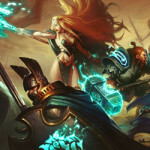 Sword & Sorcery - close view. Hunt for the Ring playing session. 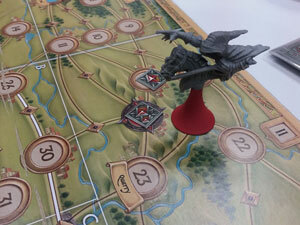 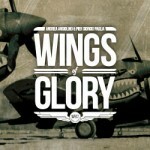 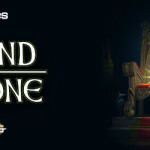 Wings of Glory game session.